The nominees pose for pictures by the pond. 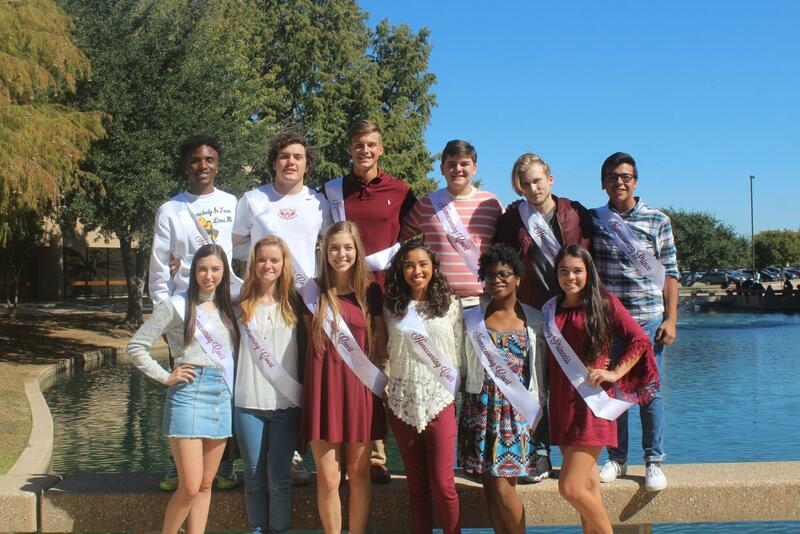 The homecoming court of the 2017-2018 school year was made up of 11 students selected by their peers to represent them. Chambers is an active member of band, Fellowship of Christian Athletes and Student Congress. He was most excited to represent his organizations and the school in the best way possible. Pigeon is involved in orchestra, Education and Training, Future Teachers of Plano and Wildcat Nation. When he found out that he made it onto the court, he got really excited, and he said that he owes it to his close friends and acquaintances. Hartman represented the Wildcat Tales Newspaper and the theatre department. Hartman said that he was taken aback by his nomination, but was excited to add this experience to his list of positive memories that Plano Senior has given him. Anderson represented the football team with his nomination to the homecoming court. Anderson said that he felt grateful to be chosen for the honor of being accepted onto the court. 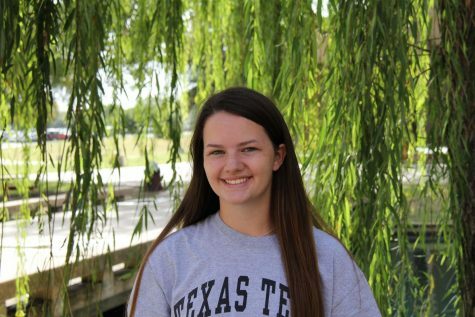 Harris is an active member on the Plano golf team, Women Inspiring Strength and Empowerment (WISE), choir, National Honor Society and Wildcat Nation. She was thankful for this opportunity and will carry it proudly for the rest of her life. Wahl represented the cheer team, DECA and Student Congress in her run for homecoming queen. Wahl said that she felt blessed to have been given this opportunity and made many memorable experiences from it. Friedman is a member of the Planoettes, Wildcat Nation, National Honor Society and Pen Pals. She felt honored and excited to be a representative on the homecoming court. She is involved in band and is a member of the Plano golf team. Castleberry said that the chance to be on the court meant a lot to her, and she is ecstatic to have been chosen by her classmates. Jackson is involved in choir and the musical theatre department. Jackson said that she was excited to be a part of the court, and wants to attribute her success to her mom. Mendoza is involved in Student Congress, National Honor Society, AVID, band, HOSA and She’s the First. He was most excited to represent his classmates and work to maintain Plano’s esteemed reputation on the court. Landers represented band, Student Congress, HOSA, Spanish Club and Junior World Affairs Council. Landers said that she believed this opportunity was a great way to represent her junior peers.